The NonStopTuning CR-Lite Crank Pulley for the BMW N54 135i & 335i frees roughly 9whp and 14wtq, while providing these gains across the entire RPM band. Gains are present at low, mid, and high RPM. A very impressive gain of +20whp and +20wtq is clearly visible at 6,000 RPM. 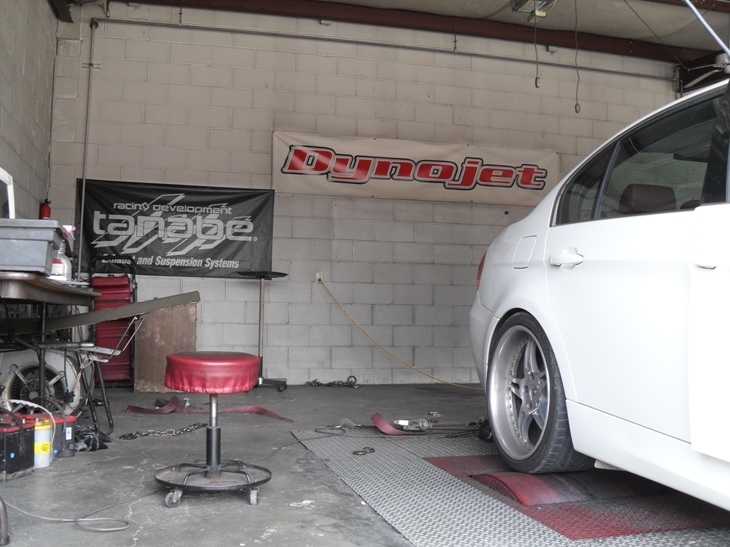 We visited our favorite dyno at CarboyRacing, in AUGUST 2009, for some dyno testing on our project BMW 335i. 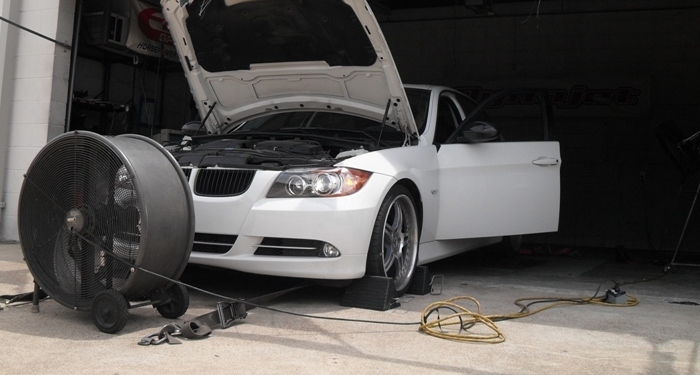 We ran a baseline dyno around 10AM and watched the twin turbo BMW 3.0 Liter N54 put down some impressive numbers. The guys at Carboy installed the new NST CR-Lite (OEM Diameter) Crank Pulley in a couple hours, and we put the car back on the dyno, after lunch, for a few more runs. Absolutely no other modifications were made to our project car on this day. 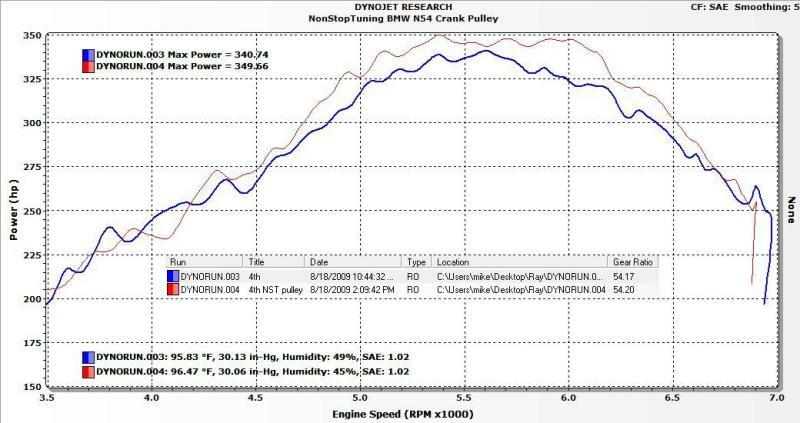 The dyno calibration, weather conditions, etc. remained unchanged. 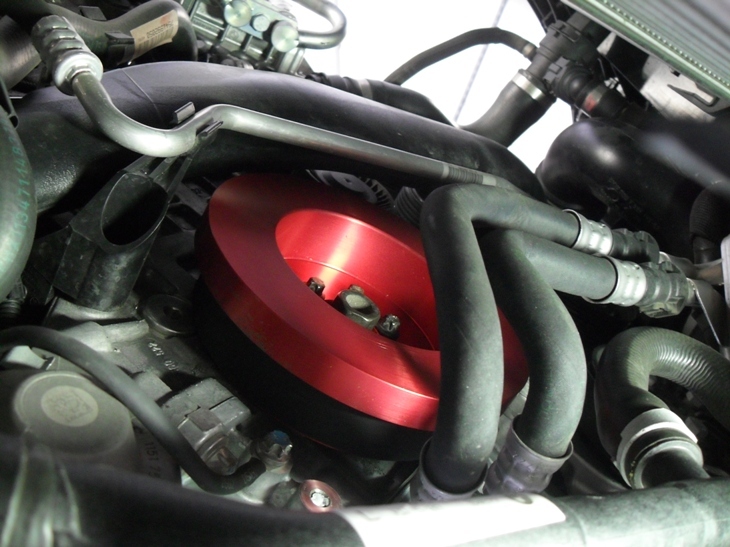 The NST BMW N54 CR-Lite Crank Pulley is an OEM diameter (same size as stock) crank pulley and is roughly 65% lighter than the factory BMW version. The excellent weight reduction has been dyno proven on the BMW N54, leads to better hp and tq delivery, delivers quicker throttle response and acceleration, and better fuel economy. This pulley has been a very popular item for us since it was released a few months ago. We are currently working on a lightweight power steering pulley to complement the existing NST CR-Lite Crank Pulley. Posted on March 5, 2010, in NonStopTuning Media, NonStopTuning Products. Bookmark the permalink. 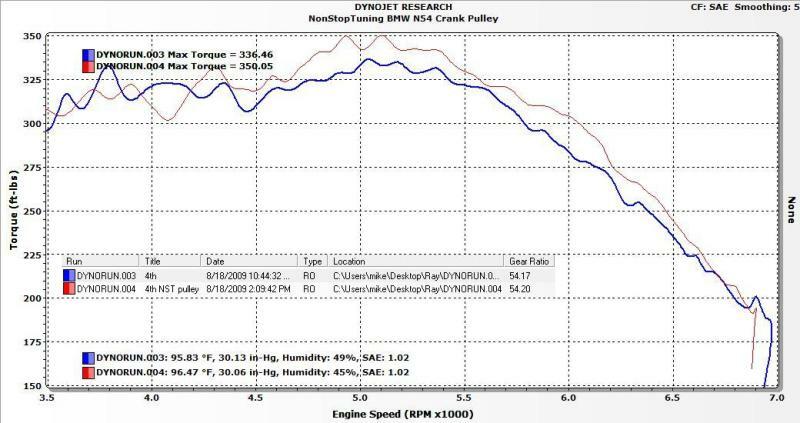 Comments Off on NST BMW 335i N54 Crank Pulley Dyno Testing.